Children who are classified as being gifted are interesting to work with. They frequently exhibit behaviours which are hard to understand, but they also show an incredible ability to problem solve. Gifted children excel in one or more areas, such as musical talent, academic growth, or unique niche skills. So, why is it so important to determine whether or not your child is gifted? There are many reasons why you need to understand what it means to be classified as gifted. The way we help children grow is determined by the skills they already own. Here are some reasons why determining gifted status is so crucial to a child’s success. Gifted status involves much more than academic success alone. It also involves social behaviours exhibited by the student in question. Some gifted children show an incredible ability to empathise or to sympathise with other children. This is evident during group activities in school settings between students. Rapid social growth is a clear sign of advancement in children. Additionally, one of the primary indicators for gifted status, is a child’s preference for conversations with adults over peers. Intellectually advanced children prefer conversations with adults because they tend to be more mature. Once it has been determined that a child is gifted, they must receive accommodations from the school that they attend. Most teachers refer to this as differentiated instruction. Academically gifted children who are with other students must be challenged in class. One form of differentiation is an independent study. Essentially, a gifted student or group of students works on a project separate from the rest of the class. After the conclusion of the research, the student will present his or her findings to the rest of the class. Most kids who are advanced are placed in gifted courses for the remainder of their school careers. 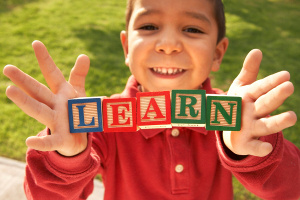 It is important to make sure that all gifted children remain on the right track for success. This means that they need to have a challenging course load through all years of school. Some children who fall into this category are able to attend a university within the UK at a much younger age than fellow peers. This gives them an advantage when it comes to entering into a lucrative career after school. Parents should maintain constant communication with teachers and administrators to keep kids on track for a successful life. Perhaps one of the most important keys is to determine specific areas of special skills, and then to help the child to develop the skills further. There are plenty of great programs in the UK that cater to a variety of skills. These include higher-order thinking, critical thinking, math institutes, and musical programs. All children are different when it comes to their ability levels, and parents are responsible for defining areas that need work. We can all do our part to help children of all ages to realise their full potential. Gifted children deserve to advance quickly so that they have a chance to absorb more information.